Creating handmade ornaments can be a memorable holiday tradition for children. And what better way to do it than to make them from scratch so children can be in charge of all aspects of their creations. 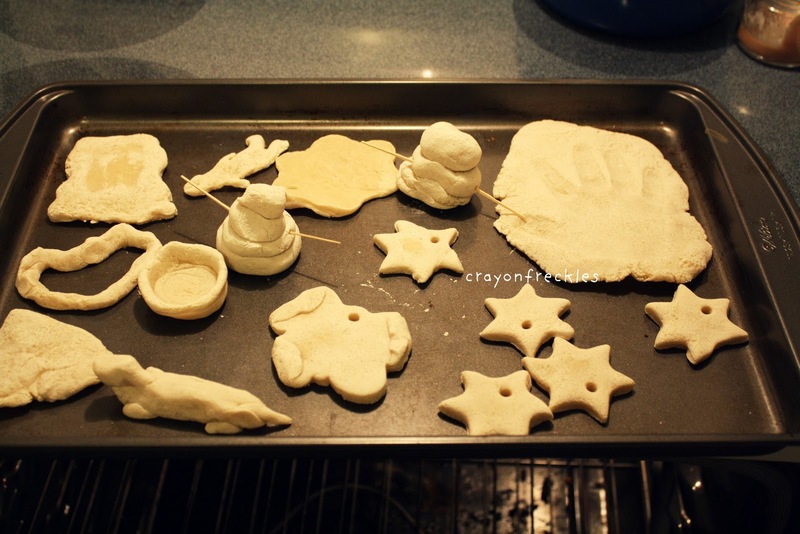 To do this, we created salt dough ornaments. 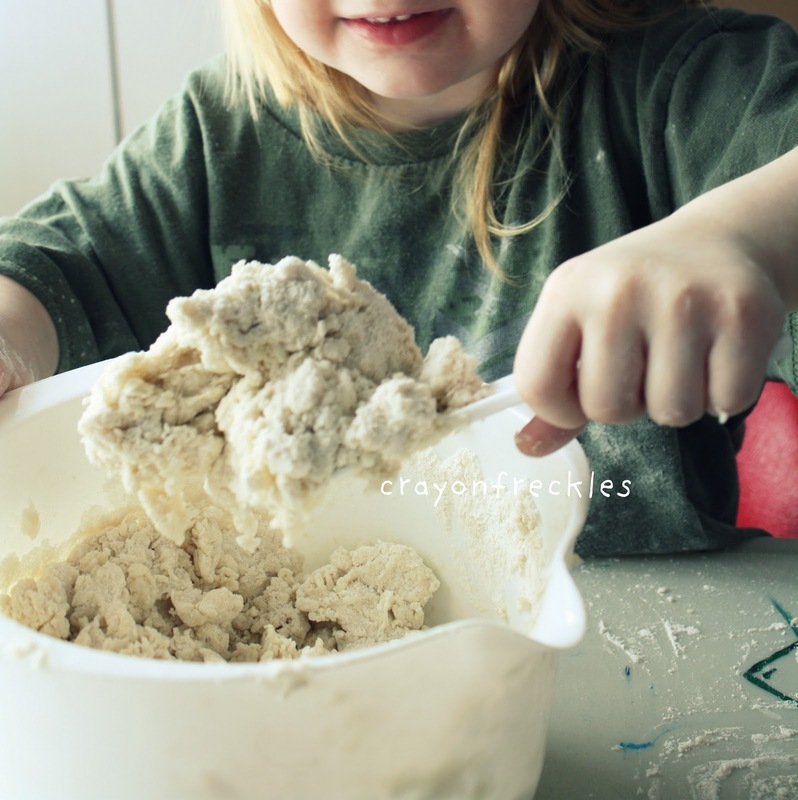 You can find a quick and easy salt dough recipe here. The great thing about this recipe is that kids can help to dump ingredients and mix it all up. 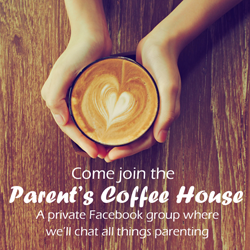 Not only does this give an opportunity for family time, it also helps children practice measuring. 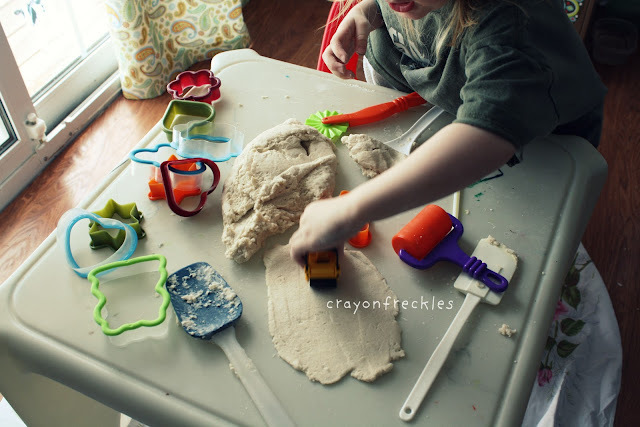 After the dough is fully mixed, children can roll it out into flat sections and cut out ornament shapes with cookie cutters. Or they can create sculptures, small bowls, etc out of the dough. After all the creations are made, bake them per the recipe directions above. 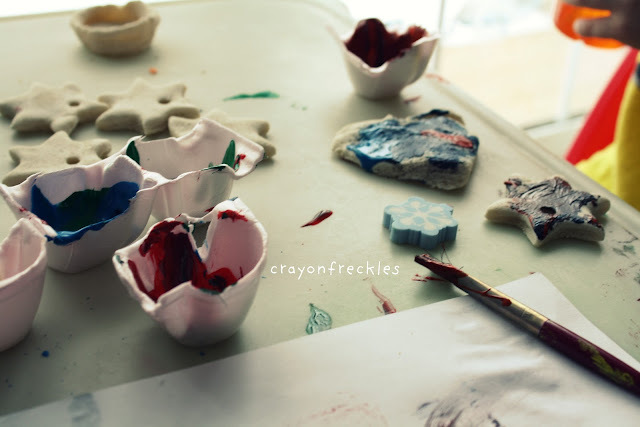 After the ornaments were baked and cooled, it was time to paint them! I laid out every color of tempera paint that we had. Once his ornaments had dried, I glossed over them with a coat of mod podge just to seal the paint and add a bit of shine. My kiddo was so proud to be able to hang his own creations on our Christmas tree. Overall, it was a fun activity that gave us a few hours of bonding, but created tactile reminders that will last a lifetime. What fun! 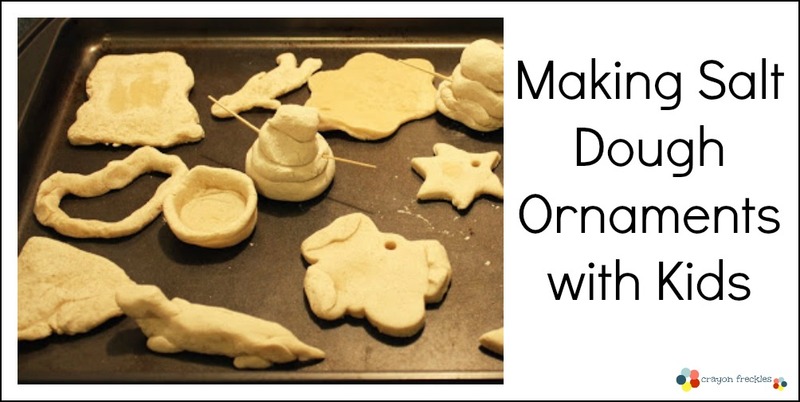 I always wanted to make salt dough ornaments when I was a kid. I never got to though. Your son is a lucky boy! We have tried to make salt dough ornaments every year since the kids were small, but haven 't done it recently! I have even went into the classroom and done them as a group activity with the entire room a few years back. Love the whole process and that it is very inexpensive and only the imagination can hold you back on what you can make! 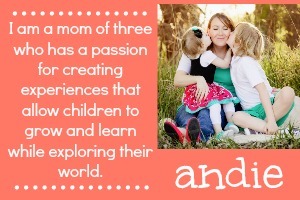 Thanks for sharing Andie! 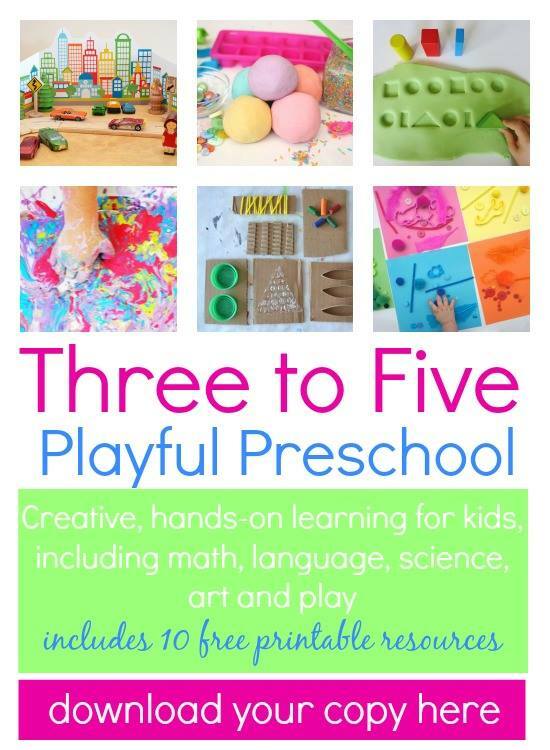 This is such a great activity to do with kids. I will have to get some supplies and do it over our Christmas break.